Views from the Old Stone House: What were the jurors of the GG thinking? What were the jurors of the GG thinking? I do have to wonder sometimes about the artistic and literary pundits of this country we call Canada and home. While I completely recognize the subjectivity of art and its appreciation, the jurors of this year's Governor General's Award I cannot help but feel have collectively been dropped on their heads, or have slick palms, or fail to recognize citizenship, or just plain didn't read all the books on the short-list, or the biographies of the authors whose works were short-listed. Truly, something is amiss here. What first strikes me as incomprehensible is the awarding of one of Canada's most prestigious literary awards to a writer who has been a Canadian for all of six years of her life. Eleanor Catton, author of what I consider to be an abysmally pretentious bit of fiction (The Luminaries), it would seem, has been deemed a beloved daughter of Canada, and her work pre-eminent. My review of her novel is here. 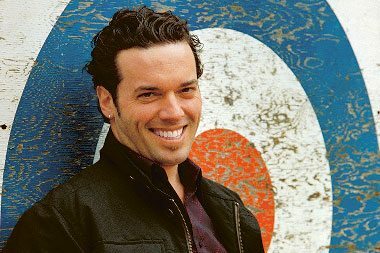 The decision of this year's GG jurors is simply incomprehensible when the list of the other nominees is considered, most especially Joseph Boyden and his novel, The Orenda. Why it is Boyden's novel should have been overlooked is mystifying. Artistically considered it is a superior work, in my opinion. Culturally it is a scintillating lens on Canadian history and concerns, written by a man who is quintessentially Canadian. Boyden was born in Willowdale, Ontario, educated in Canada, has lived most of his life in Canada, and now divides his time between Louisiana, United States, where he is a writer in residence, and northern Ontario. He writes Canadian stories, about Canadian people, primarily First Nations. My review of his novel, The Orenda, is here. So how did the GG jurors fail to recognize any of that? For what it's worth, I urge all of you to give Catton's novel a pass, unless you like a little masochism. Instead, treat yourself to a truly Canadian writer, Joseph Boyden, and novel, The Orenda, that will illuminate, edify and linger hauntingly for years to come, and in this way support those who are entitled to call themselves Canadian.